Living with Clayton meant I saw some weird things. 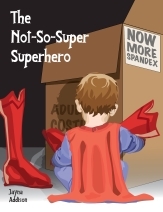 Whether it was one of his shifts or Larabee’s spandex outfits or giant gummy bears, I was really getting used to the fact that my whole life had become… weird. Teaching was actually the normal part of my day, and that said something, really. What I saw when I found my husband in that building was still hard for me to take, though. He didn’t answer, and she sighed, touching his forehead and then his hair. He couldn’t do this to her. He was not allowed to die. Though, to be perfectly honest, she didn’t know if that was what he was doing right now. She knew it wasn’t good, but he was still breathing after each shift, at least. That was something. She’d take even the little things at this point. It should not be like this. Clayton was… harmless. He never hurt anyone, just wanted to be normal, and maybe he was a bit of a dreamer and even a whiner at times, but he did not deserve this. “Did you really do that to him?” Larabee asked as he started to lift Clayton up, and April looked at him in annoyance.